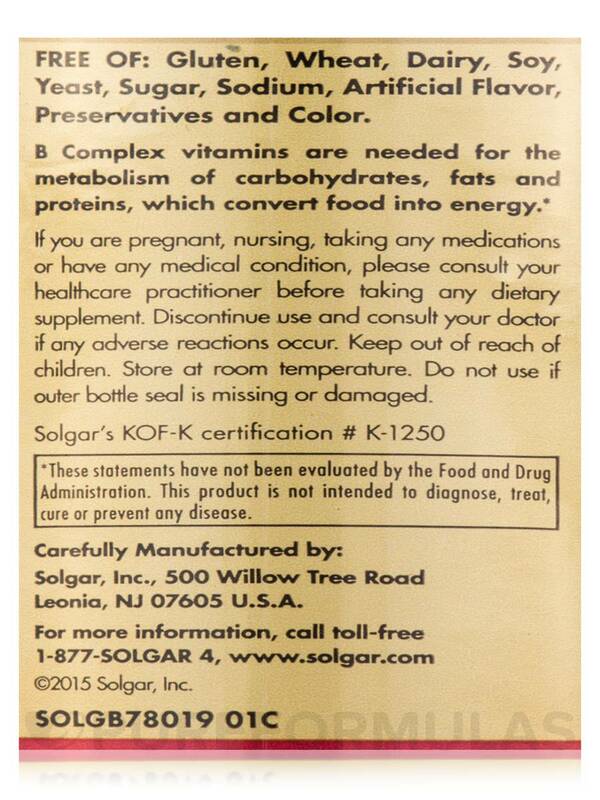 Solgar products have excellent quality. 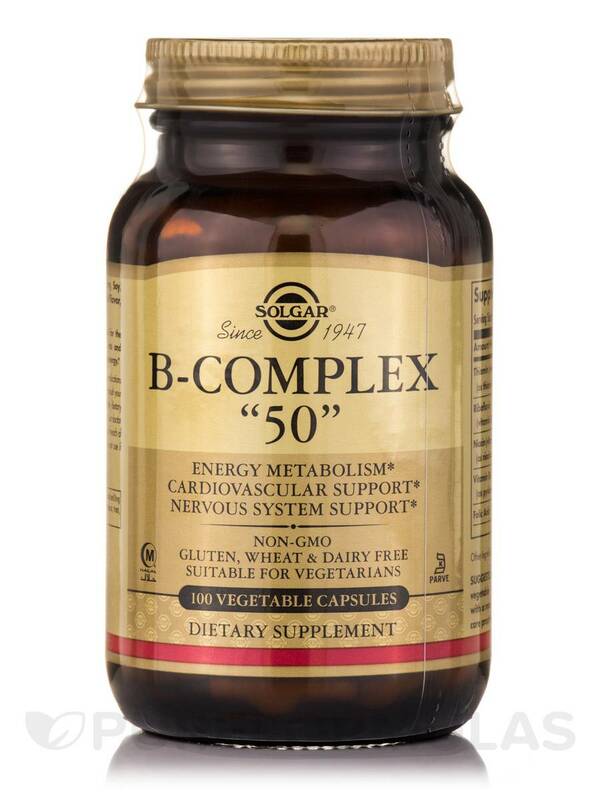 I like B-Complex 50 by Solgar Vitamin and Herb because of all the vitamins in it. 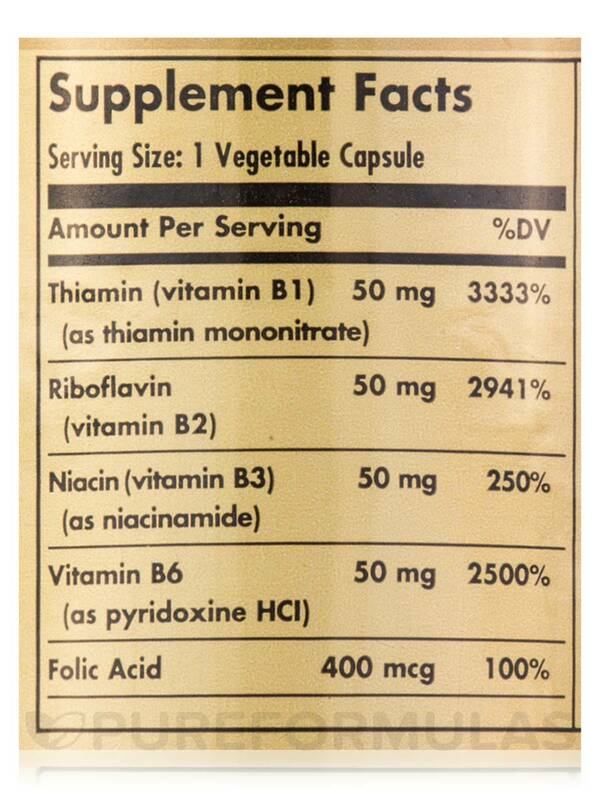 I don't feel the need to take another B vitamin to supplement with. 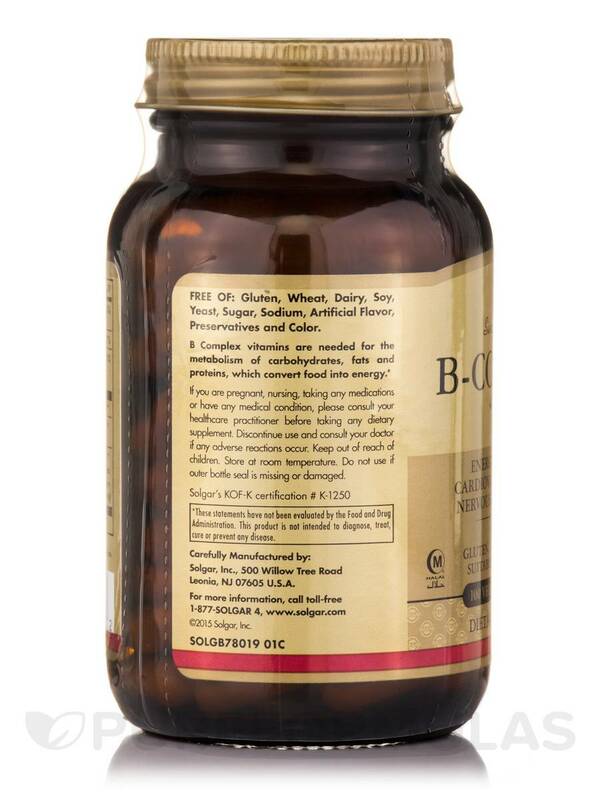 B Complex vitamins are needed for the metabolism of carbohydrates‚ fats and proteins‚ which convert food into energy. (Kelp [plant]‚ acerola extract complex [fruit]‚ alfalfa [leaf and stem]‚ parsley [leaf]‚ rose hips [fruit]‚ watercress [herb]). 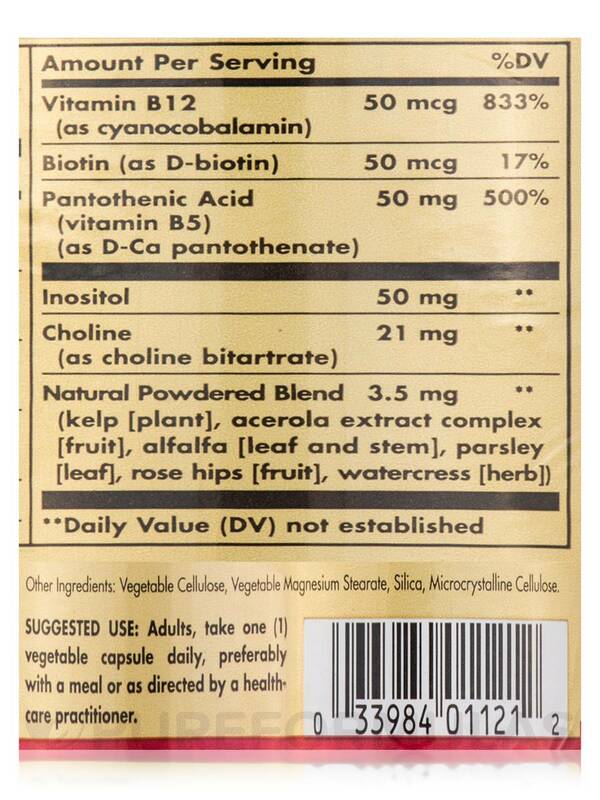 Other Ingredients: Vegetable cellulose‚ vegetable magnesium stearate‚ silica‚ microcrystalline cellulose. Free of: Gluten‚ wheat‚ dairy‚ soy‚ yeast‚ sugar‚ sodium‚ artificial flavor‚ preservatives and color. Non-GMO / Kosher / Suitable for Vegetarians. 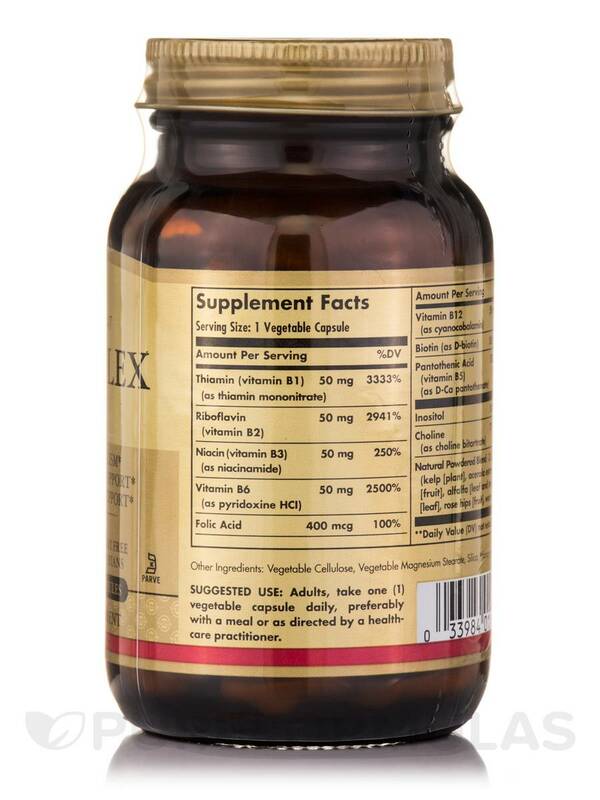 Adults‚ take one (1) vegetable capsule daily‚ preferably with a meal or as directed by a healthcare practitioner. Wife and I both take B-Complex 50 by Solgar Vitamin and Herb. We take one each, sometimes just every other day with dinner. 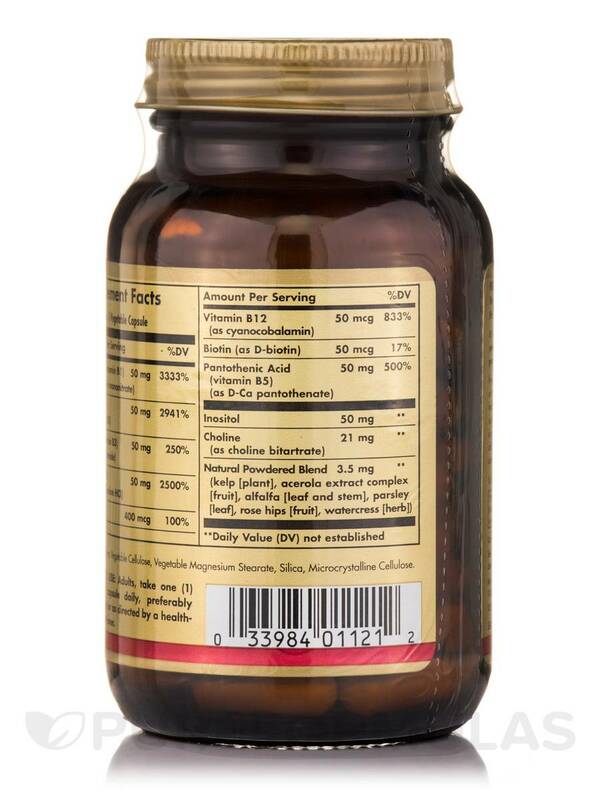 It has everything we need but we also take one b12 besides this weekly to get more of it. We do that with all vitamin b complexes. We just finished our first bottle and will order this again.